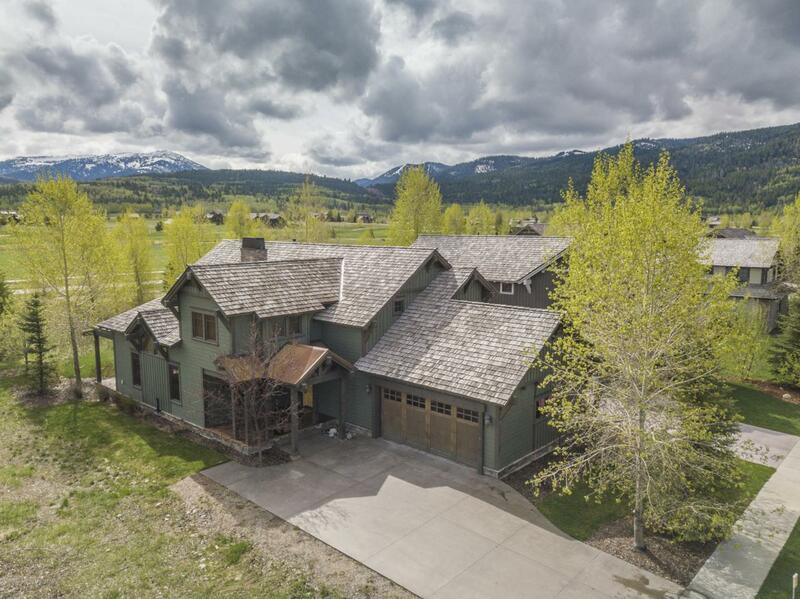 Enjoy the morning light in the bright and airy spaces of this Mountain Meadows home in Teton Springs. With more than 3,300 sq.ft. of well-appointed living space, this Larkspur floor plan features a vaulted great room with a double-sided, floor-to-ceiling gas fireplace, four bedrooms, 3.5 baths and an attached 2-car garage. A massive kitchen island provides the perfect space for entertaining or for family gatherings. Upstairs, a thoughtful design includes a private and generous east-facing master suite with his and her sinks in the bathroom along with a jetted tub and European shower doors. Walk to the clubhouse for dinner or to take advantage of the year-round amenities of this four-season resort. The shops and restaurants of the town of Victor is also just a short drive away.